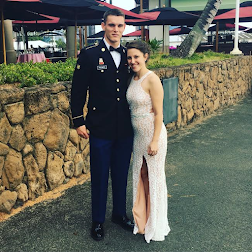 Let me first start out with how I got to know this wonderful woman. 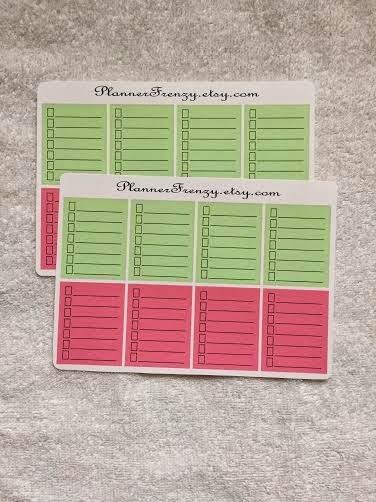 Besides being a planner and blogger, I own Jennifer Lynne Designs, which I make greeting cards, bridal shower/wedding invitations, holiday cards, etc., so I was in desperate need of finding a sticker for my planner that designated time for crafting. I made a post on the EC Marketplace, and Jen, the owner of PlannerFrenzy commented and said she'd make me something. She came up with the cutest washi tape sticker, that had craft written on them. Mind you, she had them done in the matter of 4 hours! It was the quickest turn around I have EVER seen in a custom order. So of course, I went into her etsy shop and ordered a ton more. If I had to rate Jen out of 5 stars (5 obviously being the best), she'd get a 6. On every single level, she has exceeded my expectation. First off, her packaging is adorable. 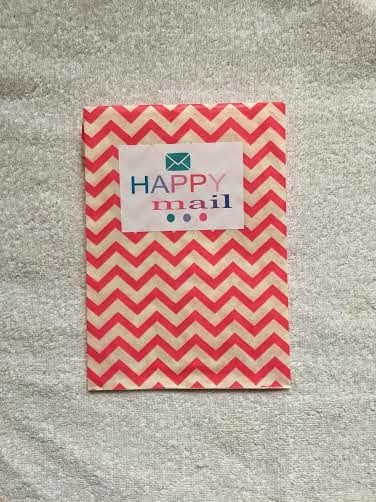 She ships in a cardboard mailer, and inside is this adorable chevron tissue paper/gift bag. 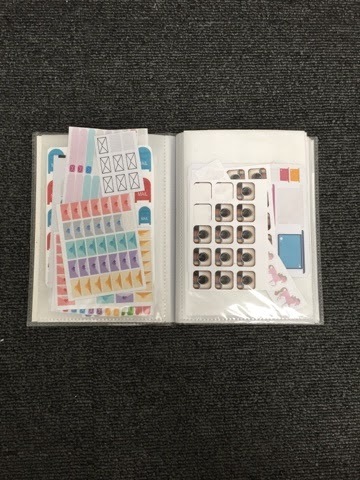 She wraps your stickers in a cellophane baggie, and attaches a free sample. She did that on both my purchase, and my review order. She also has EXTREMELY quick shipping, especially with a custom order! My favorite order from her is definitely the customer order I requested. 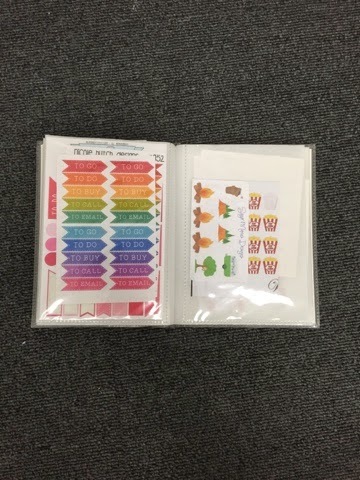 These are small washi tape icons that say "craft" on them. This allows me to schedule time for myself to work in my small business! 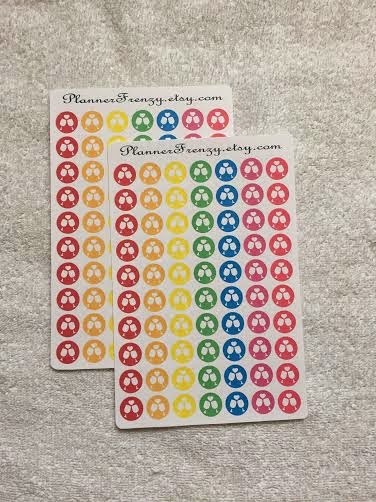 Like seriously how cute are these stickers! These are super cute bill icons. These colors are even prettier in person! Birthday stickers! These will be kept away until I get my planner for next year. I love how cute and small they are that they will stand out, but not take up too much space. They are seriously the cutest things I've ever seen! 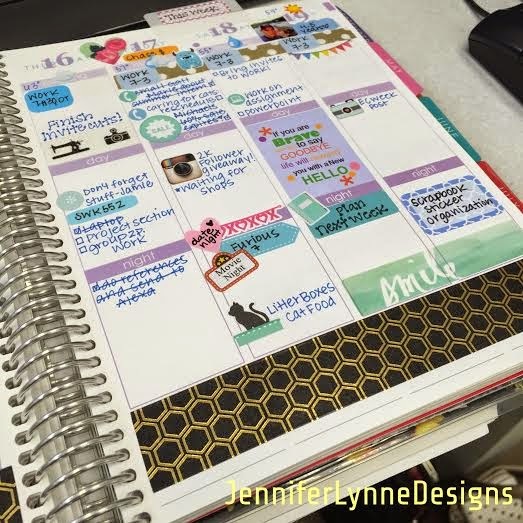 Adorable cameras, and sense I began taking photos of my planner and creations for my blog & IG (jenniferlynnedesigns), camera stickers come in handly to remind me! 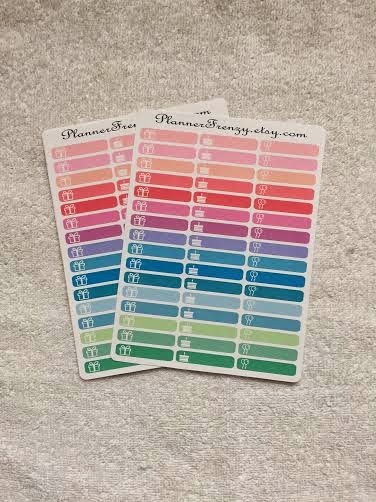 May colored full check boxes, she has these color coordinating boxes for each month! These are a must have as well. I'm all about function, and brightness, and these do the trick! Perfect size, colors, and soooo functional! Flower banners for your spring decorations! They are seriously adorable, bright, and lifelike! I'm loving them on gloomy days in Rochester, NY. Reminds me that there is an end in sight ;)! Full Scalloped Boxes, seriously adorable!!!!! 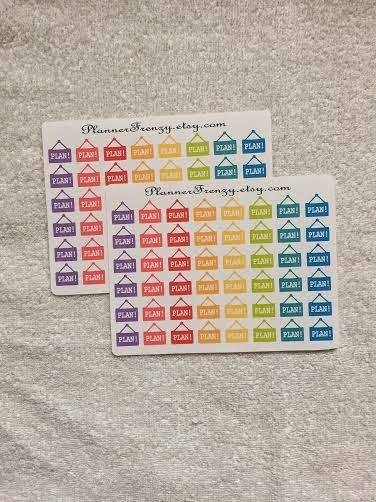 And last but not least, these ADORABLE plan stickers! 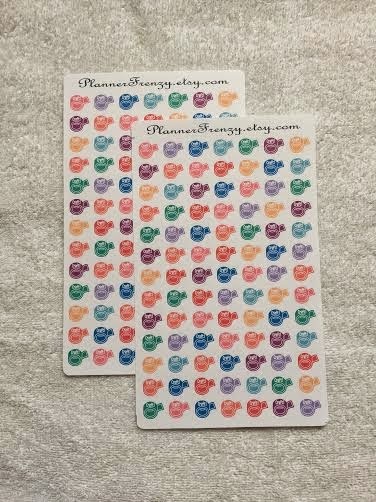 So now that you've seen her stickers first hand, let me go over a small Top 5 of why her stickers and shop get a 5/5 stars! 1 Adorable Packaging, cute and fun! 4. Created my custom order SO quick, and shipped very fast! 5. She answers all etsy questions, and communicates efficiently! 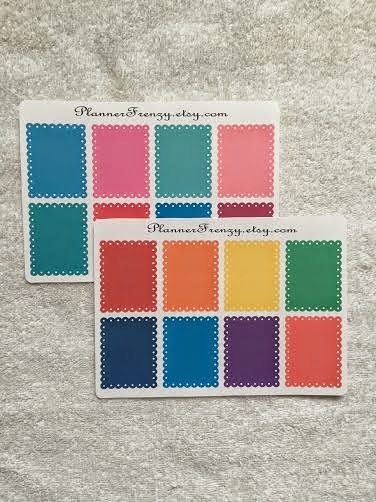 SO bottom line, Jen from PlannerFrenzy is absolutely amazing, and totally worth a purchase. And she was so kind to give my followers a coupon, so here's 10% off $10.00! Head on over to Jen's shop, and have a wonderful weekend! Welcome to the first of many Etsy Spotlight posts! Jenny was kind enough to send me a bunch of her paperclips that she has made for review. These are some of the CUTEST paper clips I've ever seen. Above you'll see two different types of paper clips: ribbon clips and a jumbo clip. She sent me a few others but those are packed away in a giveaway that will be taking place this week on my Instagram (jenniferlynnedesigns). Jenny's shop and paper clips are the best quality that I have seen. The ribbon clips are so adorable, and functional. 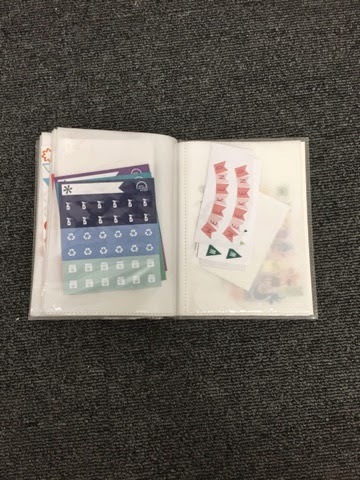 I use them in both my planner, as well as blogging notebooks. They are both secured with strong glue so you won't have to worry about the item falling off, or the ribbon becoming undone, which is an issue I had with other shops before. She is extremely talented when it comes to paperclips. I totally wouldn't buy them from anyone but her! 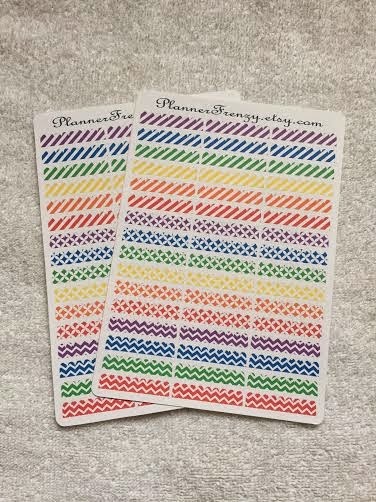 She has recently added new things to her site such as ADORABLE tassels, pens, dashboards, planner dividers if you use a ring bound planner, and some other cute goodies. Now for the best part of the post...COUPON CODE!!! Jenny was so kind an offered a coupon code for my followers on my blog & IG. 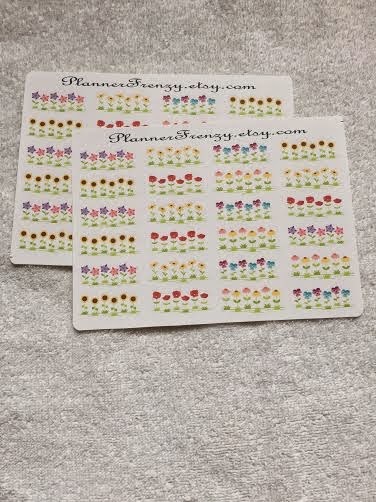 So head on over, and use this code to get some wonderful planner products. Thank you guys so much for reading, and I hope you head on over to Jenny's shop Shabby Chick Crafts and stock up!! Good Morning, my planning ladies! Happy Saturday! I am completely exhausted this weekend, and I find myself working overtime! I hope you all had a wonderful, successful week! My planner hasn't left my side this week as it has been one heck of a week. Between grad school and working 55 hours a week, it's been physically exhausting. I have purchased a tablet/notebook so that I will have more access to blogging and staying in touch with you all! I just wanted to share my end of the week layout. I am very tempted to try a different planner this coming year, but we'll see!! I have gotten into a "planning groove" as they say! 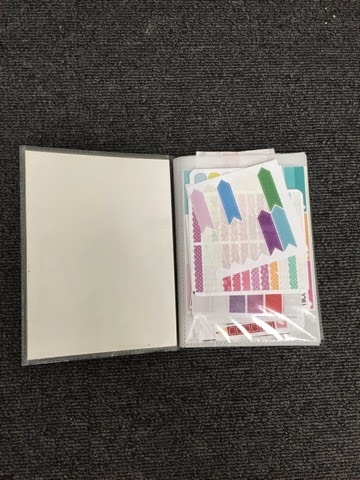 I don't use as much washi as I used to (which is inconvenient as I know own probably 300 rolls :/). 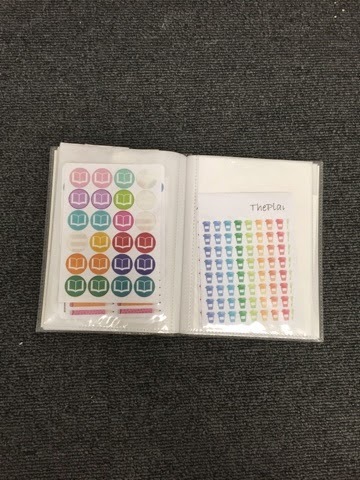 As you can see from the picture, I primarily use functional stickers. I don't necessarily have a faaavorite shop, but instead, I use a ton from different shops. I love keeping a theme. I usually stay with one color. I'll pick a washi color, and then go from there. Here I chose a gold and black hex washi that I got from AC Moore. I don't have many gold stickers so I decided to use a light blue sticker theme. Then as I go through, I'll make lists, and schedule things that need to get done during the day like Post Office stops, or small grocery lists, and of course blog and instagram things. 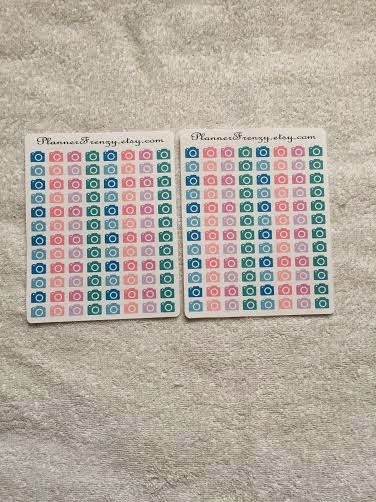 There are a few stickers that I have here that I'm not sure where they came from, so I will list below the ones I know! Next week I will begin a new feature: Etsy Spotlight Blog Posts. 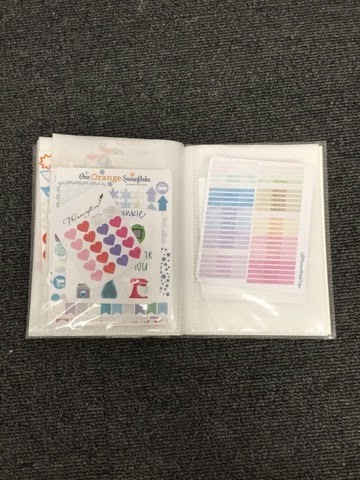 Stay tuned for more planner goodies and ideas! 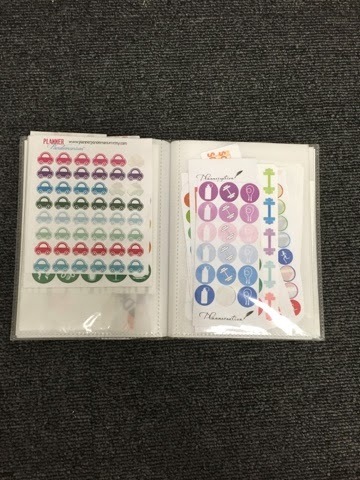 Today I'm going to talk about my On-the-Go sticker book that I've put together for myself. 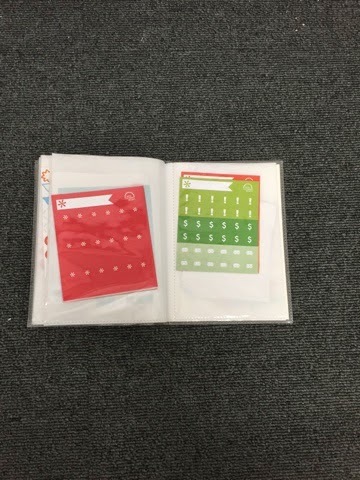 This is the book that stays with my planner at all times. This has almost ever sticker that I would use to get me through. All it is, is a small photo album that I got from Walmart for $1.00. I love the color of it, and its durability. I've had this particular one for about 6 months, and it's perfect for me, and allows me to carry the essentials. Throughout the pictures you'll see eventual types of stickers, and I'll tag all the shops that those stickers belong too! Take a peek, and if you have any questions, don't hesitate to leave a comment! 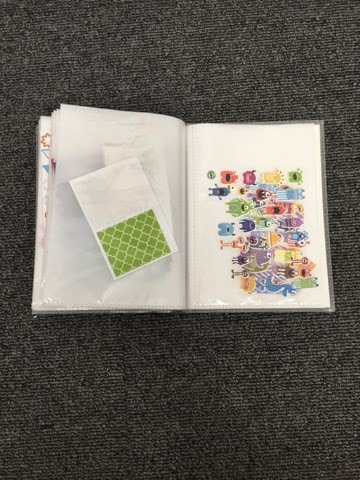 This is the adorable sticker book. It's small enough to throw in my book bag or purse, and still allows me to carry a ton of stickers. Left and Right: There are so many in the next picture. These are for chores and appointments, along with phones! 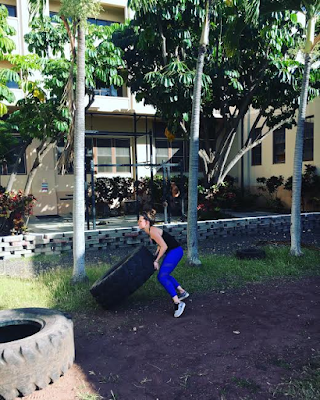 Baskets and Blue Machines: Gifts. Socks: Stick-o brand, you can get them at any craft store! Hanging Laundry: My dear friend Nancy- will have an etsy shop soon!! Instagram: Those were sent to me in a RAK! Books: Not sure to be completely honest. Left: The colorful belong to Nicole, from NicoleHutchDesigns. She's by FAR one of my favorite shops! The pink ones below belong to PaperBey, which are adorable as well! Right: This side is for events. The Camping belong to my dear friend Nancy who has yet to open her shop, but when she does, I'll absolutely post it! Now, who doesn't LOVE weather stickers? Here in Rochester, NY we have the craziest weather so I like to be prepared with whatever is coming our way during the week. 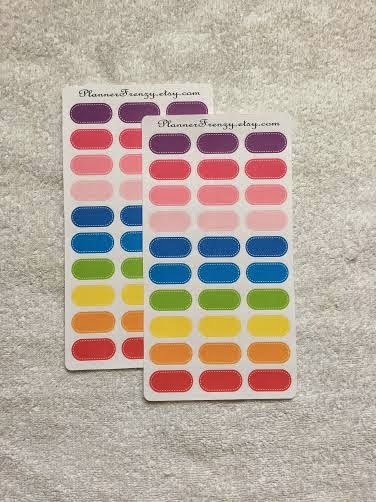 These weather stickers are from Christianbookstore.com, and I'll tag their link below. The piggys are Mrs. Grossman that you can pick up at any 5below, or AC Moore. Left side: A bunch of misc. 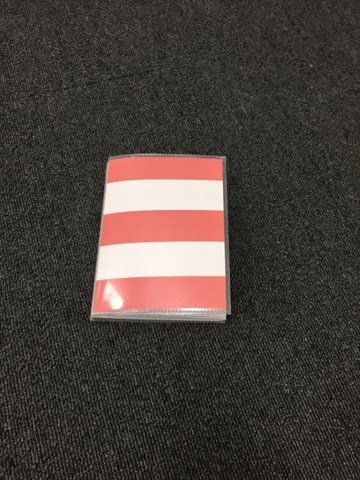 sample packs. My favorites come from OneOrangeSnowflake. And the cancelled stickers on the right side are from her shop as well. 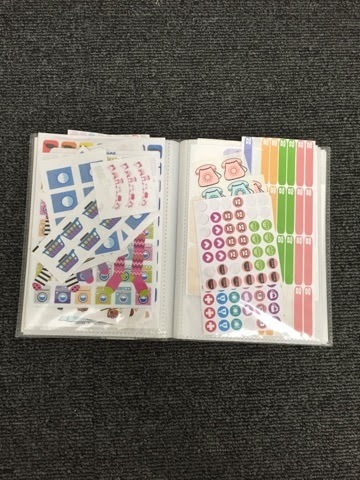 Right: Those are weekend stickers that were given to me in a RAK. Left: I'm honestly not sure where the green one came from, I'm guessing a RAK. Right: The famous monster stickers that you can get from your local WalMart! 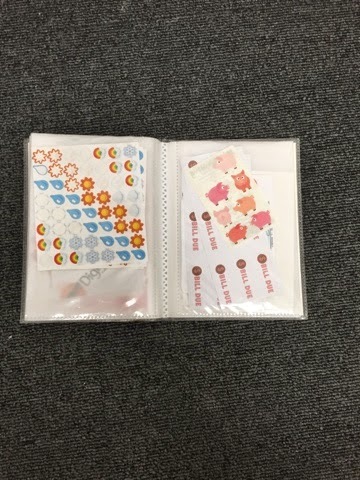 I hope this helps everyone and you can see the stickers I've put together as my "Go-To" collection. I have so many more stickers that stay at home in my Target One Spot accordions. Thank you all very much for reading, and please leave any questions you may have below and I will get to them all! Side note: No shops knew I was writing this, so these are my honest opinions, and true obsession to their stickers!